Owing to our vast manufacturing facilities, we are able to offer our esteemed clients a gamut of MS Bolts. The offered bolts are manufactured using optimum grade raw material. 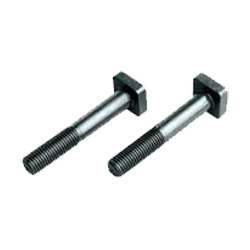 These bolts find their applications in structural, mechanical and engineering purposes. Moreover, all the offered bolts are stringently checked by the quality controllers on various parameters. Clients can avail these bolts from us at industry-leading prices within the stipulated time-frame. Established in the year 1992, we, 'Prakash Industries, Erandawana', are one of the prominent firm involved in manufacturing and supplying a remarkable range of Fasteners and Automobile & Generator Spare Parts. The range offered by us encompasses SS Nuts, MS Nuts, SS Bolts, MS Bolts, Washers and CSK Screws. Apart from this, clients can avail High Tensile Nuts, High Tensile Bolts, Automobile and Generator Spare Parts from us. These products are manufactured by the expert professionals, who make use of advanced technology and quality grade raw material. All our manufactured products conform their adherence with the international quality norms & standards. These products are widely applauded by the customers for their features such as high tensile strength, sturdy construction, efficiency and durability. The offered products also find application in varied industries such as engineering and automobile.